Sometime ago, a very good friend and I traded emails on current political issues. Our positions are very different, and with each message our words got increasingly heated. Finally, I told my friend that I did not want to jeopardize our long and positive relationship by discussing politics any longer. When watching a news show in which liberal and conservative guests are invited to comment on a political issue, quite often both the guests and the host, eager to make their point, end up talking at the same time. When that happens, it is impossible to understand anyone, so I quickly turn to another channel. If we turn to Scripture for guidance on how to conduct ourselves in a debate, we might remember Jesus’s commandment that we love each other as he loved us. And for a definition of love, I have always considered Paul’s words in the 13th chapter of First Corinthians (in italics) without equal. Love is not proud / Speak without airs. PS It’s also good advice for anyone in a relationship. In 1975, Nancy and I bought an old farmhouse with a beautiful view of Keuka Lake. The house had no heat, running water, or electricity, and it badly needed painting inside and out. But we were young, and we were up to the challenge. When we finished renovating and remodeling, we had a new home requiring a minimal amount of upkeep. Below the house, was a half acre of rock garden so well hidden beneath locust trees, wild roses, wild grapes and weeds, it was no longer visible from the road it bordered. With a mental image of what we hoped to achieve, we set about clearing, cutting, pruning, planting, transplanting, watering and grading. Finally, we were satisfied that the result of our efforts deserved to be shown in a local garden contest. Two weeks before the judges arrived to inspect what we had accomplished, we withdrew from the competition. The problem was . . . . weeds! Each Sunday, our pastor, Judy White, shares with our congregation her thoughts on the Word of God, choice seed that hopefully falls on good soil. But just like our garden on the hill, without constant attention and maintenance, unwanted weeds such as hatred, bigotry, envy, bitterness, lust, greed and anger may also grow in our hearts and ultimately choke out that which is inspired by God. Ultimately, we received a first place award for our garden on the hill. Now our goal is to earn God’s approval in the garden of life. Two of the many things I know to be true, but defy understanding, include infinity and what makes the heart start beating in a fetus. I believe infinity exists, because I know there is no wall out there a billion light years away, but even if there were, there must be something on the other side. Like another infinity. One explanation of how the heart starts beating in a fetus is that the contractions arise “spontaneously” 22 days after conception. Spontaneously is defined in the dictionary as “occurring as a result of a sudden inner impulse or inclination and without premeditation or external stimulus.” Wow! I don’t understand that but obviously, something starts the heart beating. 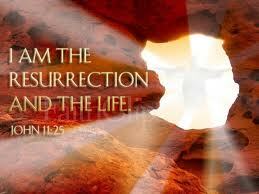 Each Easter morning throughout the world, Christians celebrate Jesus’s Resurrection from the dead. That miracle defies understanding, but I believe it as a matter of faith and because of the evidence reported in the Bible. The Scriptures record that Jesus was seen many times after his Resurrection, not as an apparition, but someone who walked, talked and ate with those who saw him. And I believe that without the Resurrection the frightened disciples would never have been heard from again. Instead the Resurrection transformed them into flaming, fearless evangelists. who changed the course of history. Finally, I am a "Big Godder." I believe in a Big God who Is Creator of the universe, who is capable of miracles that defy understanding and who can raise the living from the dead. I believe, help thou my unbelief. I take the finite risk of trusting like a child. I go into the unknown, trusting all the while.